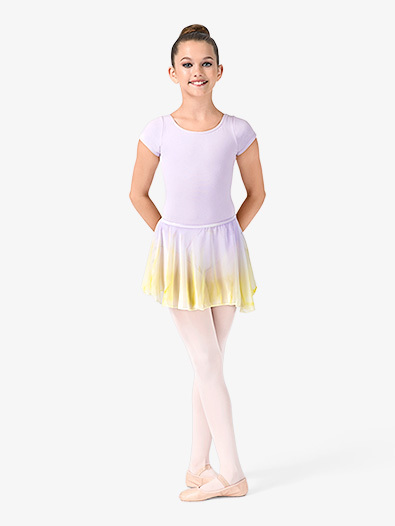 Complete your little ballerina's look with this unique pull-on chiffon skirt! 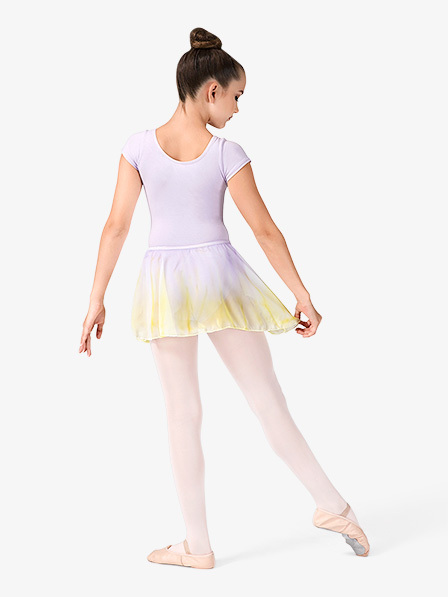 Features include an elastic waistband and a hand-painted design. Due to the hand painting process, the design on each product may vary. Paint used is water-based and is safe and gentle on skin. Is the watercolour child wrap skirt available in mulberry/ballet pink? All available colors can be found in the drop down box here on the item page. Only those colors are available at this time. What waist measurements does each size fit in Style No: WCSC? XS/S: 20"-23", I/M: 22"-25", L/XL: 25"-28".